In the history of cinema, there are literally hundreds and hundreds of Memorable Moments and Scenes (either a few seconds long, a short sequence, or a long extended scene), from a wide range of films. There are so many elements that make up fabled film moments - they are our memories of segments of films that have achieved a life of their own. They compel us to remember and 'relive' the moment, either with fondness or with fear. There are eight sample screenshots below of 'great moments or scenes' from a selected number of films. How many film titles can you accurately identify from the screenshots below? You may be able to identify some of them. 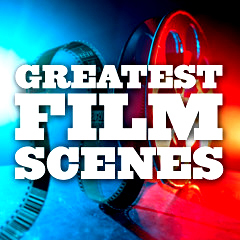 What is a 'Great Film Scene' or 'Great Film Moment'?